Someone contacted me recently asking about my various compound bow repair and tuning services. Reinforcing the peep sight (in the event it is loose). Some newer models also allow you to tune the draw cycle to make it smoother or harsher, which effects FPS speed. Scroll to the * at the bottom of this post to learn more. Etc. If I didn't list it here, just ask. Although it really depends on what the customer needs and what the bow is capable of. All bows have for example a minimum and maximum draw weight / draw length, and you can adjust between the two limitations fairly easily. It also helps if you have a copy of the owner's manual with respect to changing the draw length/weight, as there are differences between manufacturers and models, but generally speaking there are certain similarities that are common to all compound bows. The Bear Cruzer (left), which has an adjustable draw weight of 5 lbs to 70 lbs. The Diamond Infinite Edge (right), which has an adjustable draw weight of 5 lbs to 70 lbs. 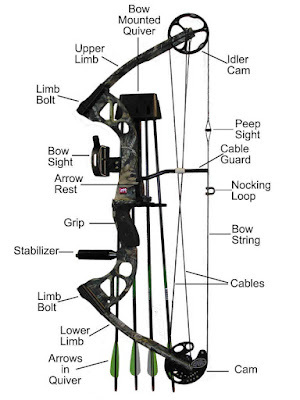 The Diamond Infinite Edge model came out in 2013 and it was the first affordable "broad range" compound bow which could be adjusted anywhere from 5 lbs to 70 lbs, and with a draw length that could be adjusted anywhere from 13 inches to 30 inches, with a maximum let off of 75% (actual let off varied on the poundage and draw length). But attaining that broad range of adjustability meant the cams on the bow are rather complex, and the owner really should have the manual before attempting to adjust it. 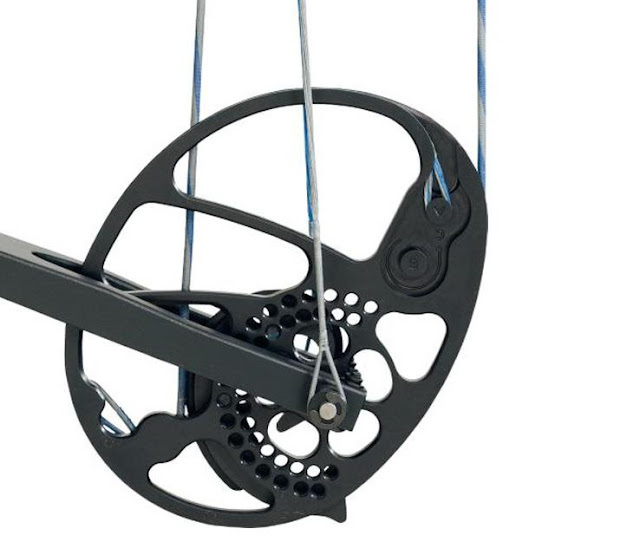 The adjustability and the affordable price of the Infinite Edge made it very popular with new archers and old archers who just wanted a super-adjustable bow - that doesn't need a bow press to adjust. That popularity led to huge sales, and this did not go unnoticed by other manufacturers. The Bear Cruzer model came out in 2015, boasting almost identical stats, but with 1 extra inch of adjustable draw length (12 to 30 inches instead of 13 to 30). As you can see from the photo above comparing the two, they have a lot of similarities. Also in 2015, Diamond came out with the Infinite Edge Pro model and improved upon their design, giving the new version a maximum let off of 80%. Looks pretty complicated, right? And this is pretty standard for modern compound bows. Almost all of them now use a complex cam system which requires the owner to be using the owner's manual, or for them to hire someone who is familiar with fixing such things. Look how simple that is. Not much complexity, is there? The above cam really only has 3 settings, and they are all for adjusting the draw length. See the following post to learn more. Adjusting the Draw Weight on older compound bows, and to a large extent on modern compound bows really comes down to adjusting the limb bolts (shown on the right). If you want a lighter poundage you turn the bolts counter-clockwise, starting with the top limb bolt and then the lower limb bolt. If you want a heavier poundage you turn the bolts clockwise, starting with the bottom limb bolt and then the top limb bolt. I recommend turning either by 1/2 turns or 1 full turn each time, keeping both the top and bottom even in a progressive manner. It takes longer, but it is safer for the bow. Do not turn the top bolt say 5 times or more all at once and then do the same with the bottom bolt. Making sudden rapid changes like that puts extra strain on the bolts, the limbs and the cams. You want to adjust it slowly and safely. If you think you have reached your desired weight, you can check by drawing back the bow and see how comfortable or hard it feels. (Having the Owner's Manual is handy at this stage for determining the poundage.) You then repeat this process until you reach a draw weight that feels right for you (or measures the desired amount on a bow scale). If you don't have an Owner's Manual, but you want to be really precise, then you will need a bow scale. 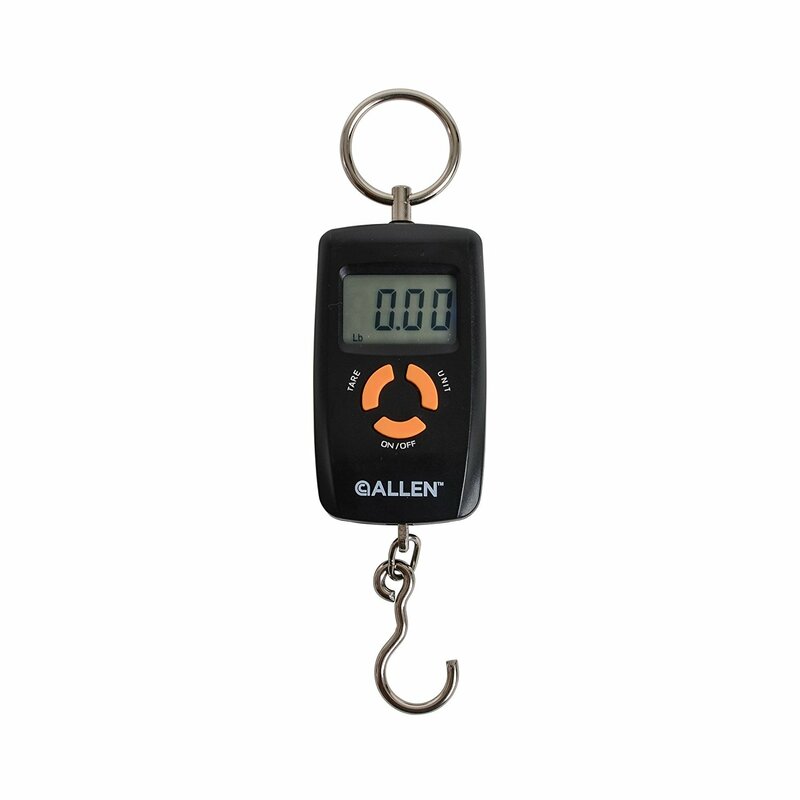 I use a 100 lb digital bow scale from Allen. I use it both for adjusting draw weights on compounds, but also for the tillering process when I am making longbows and flatbows. When tillering a bow, it is very handy to have. Simply turn it on, attach the hook like you would a mechanical release, and then pull back until you reach the let off point. The scale then tells you the peak poundage that was reached during the draw cycle (or change the settings and it will tell you the holding weight). So what do you need a Compound Bow Repairman for then? Reassembling a compound bow that has been dryfired and is now in pieces. 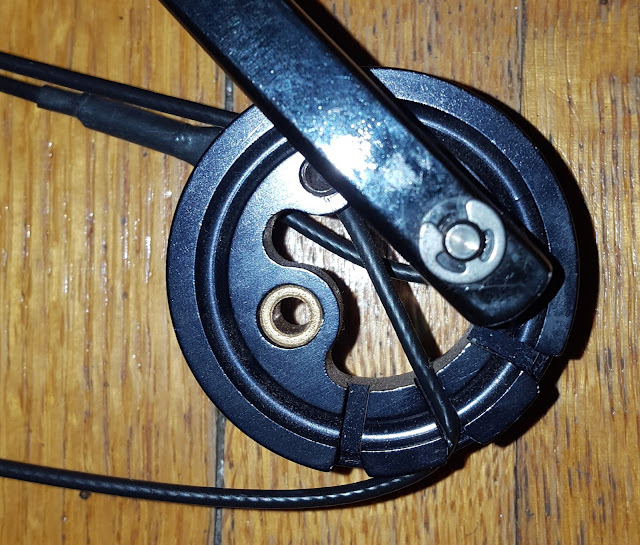 Restringing a compound bow that has been dryfired and the string and/or cables fell off. Replacing parts that are broken, bent or otherwise damaged. I also find that some places refuse to do certain types of repair work and try to sell the customer a new bow instead. They see an older (possibly vintage) compound bow, they think it will be too hard to repair, and they don't want to bother trying to repair it when they could just sell you a new compound bow instead (and get a commission). In my case, I typically don't sell compound bows. 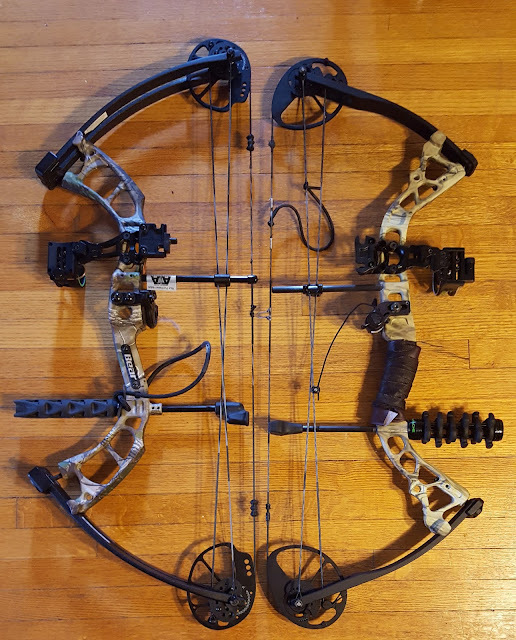 I will sometimes buy compound bows for parts, or buy compound bows, repair them and then sell them, but most of the time my "stock of compound bows" is limited to my personal bows that are not for sale. So there is no motivation for me to sell a customer a brand new compound bow, because I don't sell such things. I don't know of anyone (anywhere!) who is into repairing vintage compound bows. So do you need me to adjust the draw weight on your compound bow? If it is an older model, you can probably do it yourself just by adjusting the bolts. If it is a modern model with a larger variance in the draw weight, you probably need to read the owner's manual or you will need a repairman like myself. You can certainly try to adjust it yourself using just the limb bolts. If the variance in draw weights is comparatively small (say 40 to 60 lbs, instead of 5 to 70), then you probably won't need me at all. 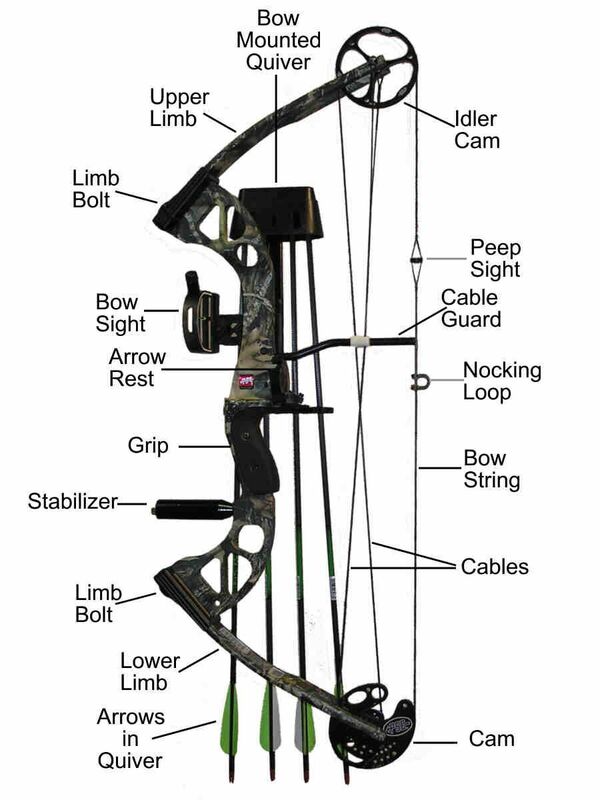 So you might have noticed that way up at the top I mentioned that some new compound bows (mostly that came out within the last 2-3 years) also have an option to adjust the draw cycle of the bow. This adjustment allows the archer to choose between. A harsher draw cycle and a harder wall before reaching the let off, which stores more kinetic energy and offers more FPS speed. A smoother draw cycle and softer wall before reaching the let off, which offers more user comfort and less FPS speed. Thus the archer can perhaps start with a smoother draw cycle and a lower poundage, and as their strength grows they can adjust the settings so that it becomes harsher / faster as they progressively get stronger. People with shoulder and/or back problems may also wish to use the smoother settings. The compound bows that currently offer this feature typically cost $1,000 CDN or more, and it is a particular type of person who spends that much on a compound in the first place. Typically, such a person also buys a new compound every year or every two years, and their old compounds end up collecting dust in a closet or in a case waiting for the day when its owner might be struck by the thought of "Hey, I should shoot that old Hoyt or Matthews sometime." Adjusting the Draw Cycle on one of these modern compound bows is no more complicated than adjusting the draw length - provided of course that you have the owner's manual. Never, ever throw away the owner's manual. Sometimes you can find a copy of an owner's manual online, but there is no guarantee you can find it. So please don't throw them out.